"By 2025, we will offer 25 electrified vehicles – 12 will be fully-electric," CEO Harald Krueger told journalists at an event in Munich, adding that electric cars will have a range of up to 700 km (435 miles). The four-door model, a low-slung sedan, was kept under wraps as BMW showed journalists around its Munich design headquarters on Thursday. It is set to go on sale by 2021. BMW declined to specify its name. Motoring press reports said the sedan is likely to be called the i5. BMW plans to unveil an electric Mini at the Frankfurt show, which will go on sale in 2019. The first electric version of a BMW core brand model, the X3 SUV, will follow in 2020, Krueger said. In future, all EVs from the BMW brand will belong to the i subbrand, he said. New longer-range battery technology is facilitating the revival of the “i” sub-brand, which hasn’t been assigned a new car since the i8 in 2014. "We wanted to have a sufficient range that’s coming with the next technology jump," Krueger said. For the green-car sub-brand, "there wasn’t a big gap. We planned it." 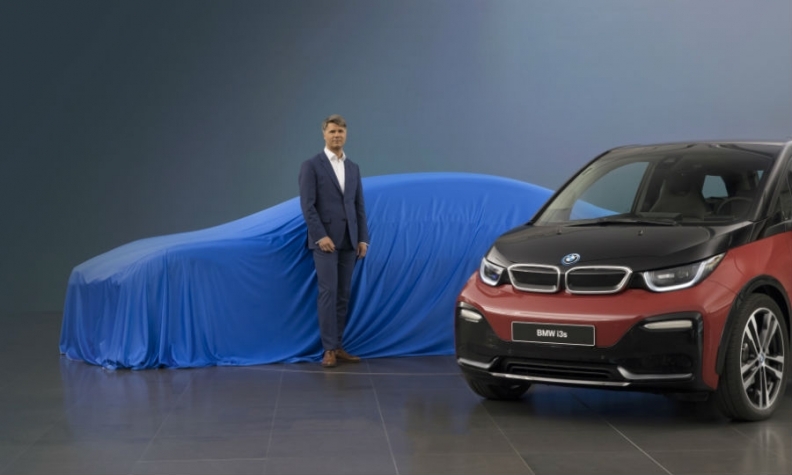 Consumer demand for the i3, which was launched in 2013, has been sluggish due to concerns about its limited driving range and high price. But with the new regulations coming into force, automakers have little option but to make electric cars more appealing, especially as consumers shy away from diesel in the aftermath of Volkswagen Group's cheating scandal. "The environment is changing, it's much more tense," Klaus Froehlich, BMW's development chief, said at the event. "Because of the actions of some, and I emphasize some, the credibility of our industry has been severely compromised." BMW, which lost its luxury-car sales crown to Mercedes-Benz last year, is looking to claw back its leadership role. That includes being more aggressive with next-generation technology, especially electric cars as European environmental rules tighten starting in 2020. BMW's push is similar to Mercedes' plans, which involves the EQ sub-brand.